I admit it. I watched Sharknado 3 and loved it. 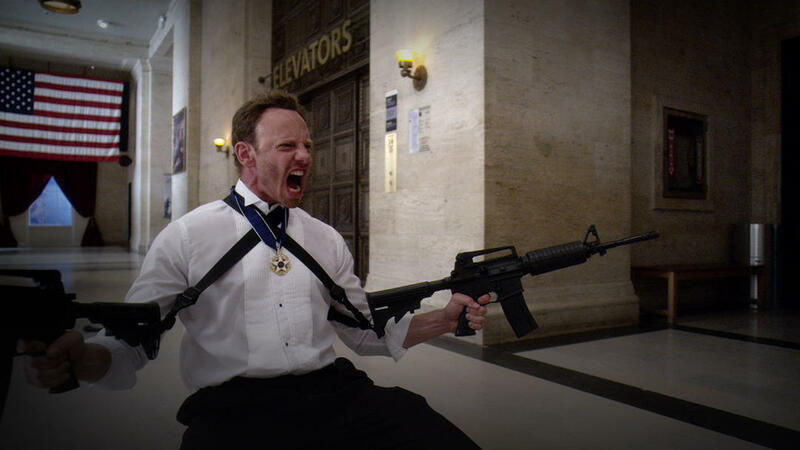 The third installment of the Sharknado series premiered last night on the Syfy channel and it did not disappoint. The corny made for television disaster movie was so terrible that it was actually very funny and entertaining. If you don’t know already, the first Sharknado was released in 2013 and is about a waterspout that lifts sharks out of the ocean and drops them on land. The movie was so trendy on Twitter that they made a second one in 2014 and it became the highest-premiering film on the Syfy channel. Ian Ziering and Tara Reid play the main characters, but each movie is full of great cameos. 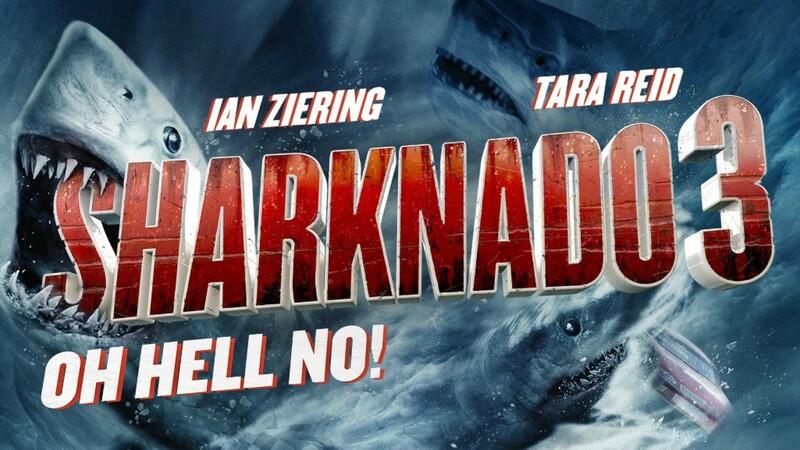 Ziering and Reid return to fight the shark-filled tornados alongside some pretty impressive celebrities in Sharknado 3: Oh Hell No! Mark McGrath also returned as Ziering’s brother. There was a hilarious scene when he surfs down a flooded, shark-filled stairwell with the Vice-President played by Ann Coulter. 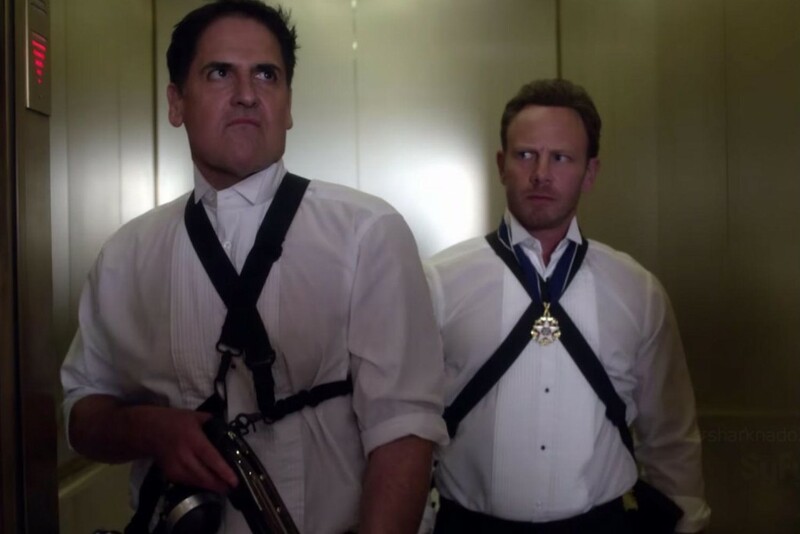 My favorite cameo was Mark Cuban as the President of the United States. A Sharknado hits Washington D.C. and almost kills the President, but Cuban and Ziering team up to battle some vicious sharks. It was such a silly scene, but also one of the best scenes in the movie. Cuban did a really good job and I think he played the part perfectly. The Hoff made one of his epic appearances and played Ziering’s dad. The acting was pretty awful, but for some reason I found it really funny and I couldn’t stop watching it. Maybe it was because of all the cameos, but I was pretty impressed with Sharknado 3 and I am not ashamed to admit that. 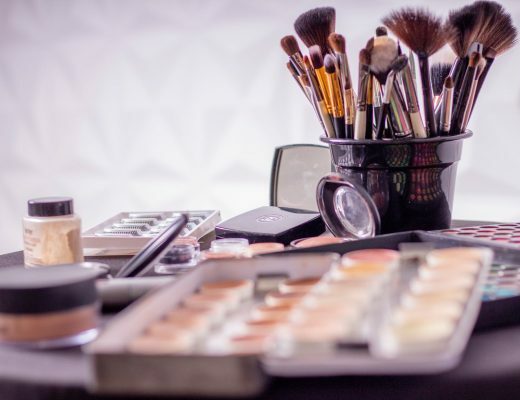 Frankie Muniz, Al Roker, Matt Lauer, Michael Bolton and Bill Engvall also make appearances in the movie. Sharknado 3 has a very bizarre ending though. SPOILER ALERT! The movie ends with Tara Reid’s character in danger of being killed. It is now up to the audience to decide her fate. I don’t think she is going to live because I have read a lot of comments and a handful of people say they think the movies would be better without Reid. Poor Tara Reid. I guess we will just have to wait for Sharknado 4 to find out!